I think that the future has arrived indeed! Last year, at the Games for Health Europe conference in the Netherlands http://www.gamesforhealtheurope.org ( Twitter @gfheu14 ). I had the chance to try the Oculus Rift. It was a very early prototype, I thought, but immediately realized its future in medicine, visualizing “Virtual Telemedicine” consultations, in front of a 3D– digital provider in a virtual reality (VR) office. Imagine the potential of this use to extend the reach of over-sought, already in shortage, medical personnel. 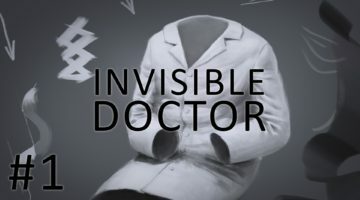 To be able to provide medical advise, immediately, remotely, no matter the physical location, as long as there’s connectivity. That’s the closest you can get to a physical interaction, when that form of interaction is not possible or necessary. Simple and simply, intuitively improving connectivity and communication between surgeon and an audience, to proof the point that this new gadget was really one of many wearables in the horizon, representing “The Natural Evolution” of the computing platform. In the matter of months, quicker than we can dream or assimilate, we are once again presented with exponential advancements in technology. Exponentially smart ideas about how to use technology to improve the way we provide healthcare or teach medicine. In the video below, you can appreciate how medical education could certainly be delivered in “the future”. The video was published in September, 2013, telling us about technology leaps to happen around the year 2033. Well, nice video, but TOO LATE. It is only 2014, and that technology is HERE NOW. Check out RealView Imaging. “Interactive Live Holography, from Science Fiction to Science Fact”. This is a reality now, and has the potential to revolutionize medical education and medical care. 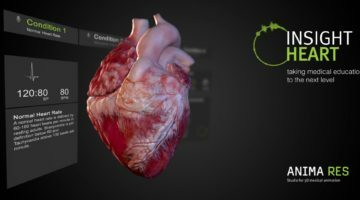 Providing interactive, virtually Real, 3D images of anything, allowing physicians to SEE better, to learn better, plan better, to deliver better care. Yesterday I spoke with the team behind the next generation of smart glasses. An amazing development, augmenting every aspect of what it is currently available. 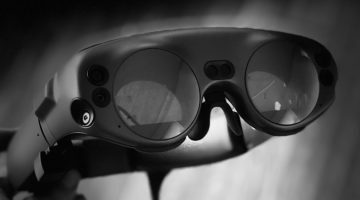 I can just see it now: the RealView platform, embedded in the Theia- AR glasses, providing us with the closest-to-reality-possible vision the anyone can have… other than the real thing.